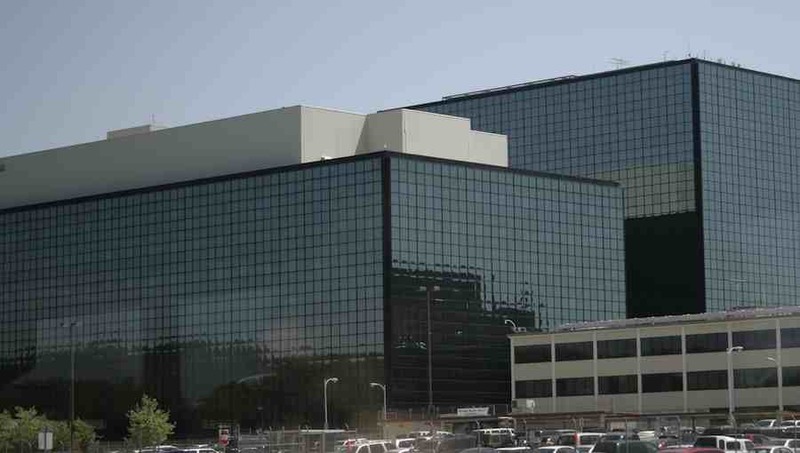 Photo: NSA headquarters. By quinnums @Flickr. A British newspaper, The Guardian, has published evidence supporting the claims of whistleblowers that the National Security Agency tracks domestic phone calls on a massive scale. In a June 5 article,”NSA collecting phone records of millions of Verizon customers daily,” columnist Glenn Greenwald quoted from an April 25 order from a secret Foreign Intelligence Surveillance (FISA) Court. The order, signed by Judge Roger Vinson, compels Verizon to produce to the NSA electronic copies of “all call detail records or ‘telephony metadata’ created by Verizon for communications between the United States and abroad” or “wholly within the United States, including local telephone calls”. The order directs Verizon to “continue production on an ongoing daily basis thereafter for the duration of this order”. It specifies that the records to be produced include “session identifying information”, such as “originating and terminating number”, the duration of each call, telephone calling card numbers, trunk identifiers, International Mobile Subscriber Identity (IMSI) number, and “comprehensive communication routing information”. William (Bill) Binney, a former NSA crypto-mathematician, J. Kirk Wiebe, a former NSA senior analyst, and Thomas Drake, a former senior NSA executive, previously warned about NSA abuses that may have violated the US Constitution and the FISA. Additional warnings came from US Senators Ron Wyden and Mark Udall, who made vague references to a secret government interpretation of section 215 of the Patriot Act. The phone data collected (as far as we know) includes metadata–the phone number and the location, time and length of the call–but not the content of the call or the name of the caller. However, the government could combine that information with information in other databases to create a more detailed picture of a person’s activities. The Patriot Act was passed ostensibly to give government additional powers to intercept terrorists. But, over the past two weeks, we’ve read about two cases in which the Justice Department swept up large numbers of phone records documenting calls to journalists. The government claims it was looking for the person behind a leak of classified information, but individuals who were making lawful disclosures of government wrongdoing would have been swept up as well in the surveillance net. The purpose of the government’s request for Verizon records has not yet been identified.